So the kids pestered you to get a dog, but now the novelty has worn off and you’ve been left with the responsibility of another kid (yes this one does have fur). It’s time to engage the kids in the care of the dog. Caring for a dog increases empathy and respect plus additional health benefits. The first job parents often try to delegate to the kids is picking up dog poo. This is not helping build safe interactions and can lead to the child withdrawing more. Enter environmental enrichment. Kids are so creative and find joy in making their dog happy. There are so many DIY style options available. 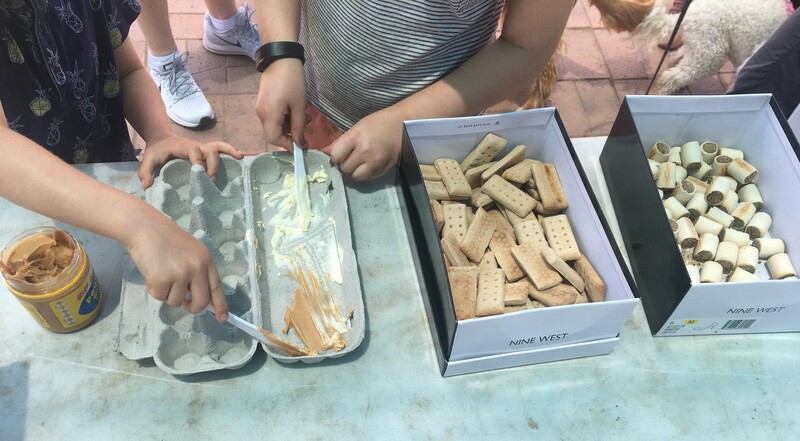 1) Box Surprise: using old cardboard boxes, smear a favorite spread (eg cream cheese or xylitol free peanut butter) a special super treat, some dry dog food etc. close it up and give to the dog to open and destroy – even include the kids in the clean up. 2) Treasure Hunt: this can be done in two ways depending on the age of the child. Younger kids (fully supervised) can be kept in the dark. A parent/guardian can go out and create a hunt, draw a treasure map and give to the child. With the dog, the child can go hunting and help the dog to find the treats. Older kids can do the hiding and guide the dog to find the treats. 3) Guided Freelance: let children come up with something they feel the dog will like. Parents should help by guiding the child in the right direction to avoid things too complicated or stressful. Coming up with games the dog will like will help create empathy for the dog. Dog jobs can be fun. 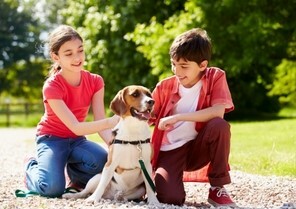 More importantly a child’s relationship with their dog can be mutually respectful. Enjoy the creativity, and remember to share photos of the fun!